What’s the first thing that comes to mind when you think about the moon landings? Most likely, it’s the statement: “One small step for man, one giant leap for mankind”. These words, spoken by Apollo 11’s Neil Armstrong as he became the first man on the moon, will be quoted and remembered for centuries to come. In many ways, it is more poignant than Armstrong’s better-known message to the world. 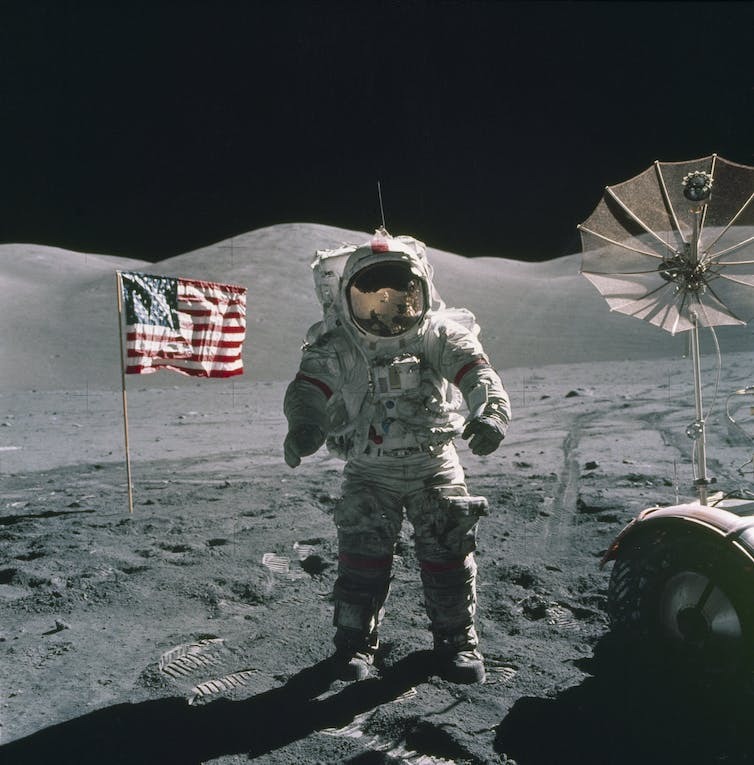 Indeed, with the recent death of Cernan, aged 82, the broader legacy of the Apollo missions is becoming just that – an increasingly distant legacy. Since Cernan and Harrison “Jack” Schmitt left the lunar surface and returned to Earth with command module pilot Ronald Evans on December 19, 1972, major developments have been made in robotic space flight. But a manned flight hasn’t travelled beyond low Earth orbit in 45 years. 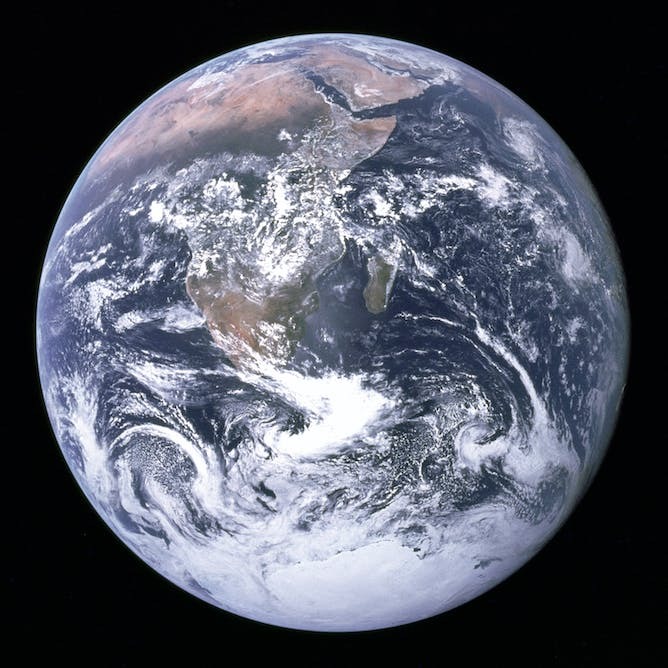 The data and discoveries from the Apollo missions, and especially Apollo 17, are still being investigated today and have allowed us to develop understanding of not only the moon but the character and origin of other terrestrial planets including Earth. They have also given us a stronger sense of our place in the universe – and on our own planet. 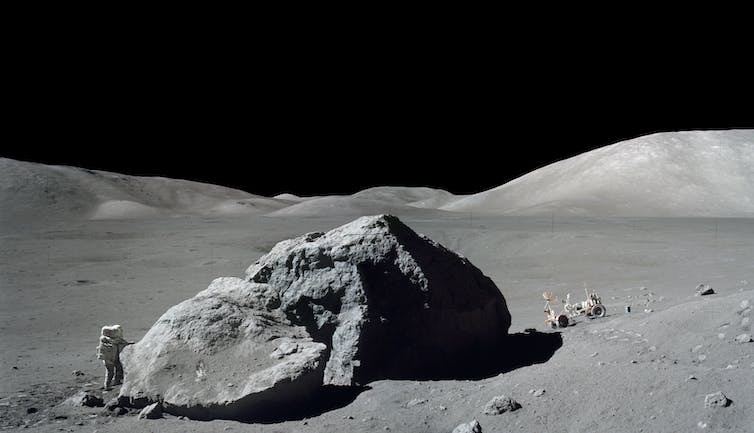 Apollo 17 was the last of the J class missions which landed in the Taurus-Littrow valley in order to sample both the lunar highland material and investigate relatively new volcanic activity in the same area. The three-day mission broke a number of records, including the longest moon landing and the longest total extravehicular activities (EVAs), or moonwalks (22 hours 6 minutes in total). 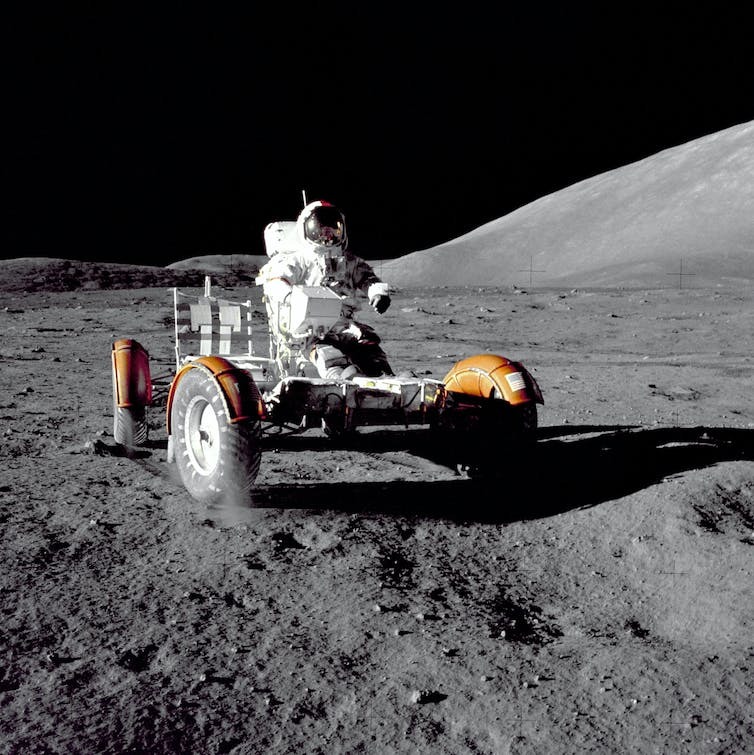 It also returned the largest quantity of lunar samples (294 lbs) – thanks in part to Schmitt being a geologist – clocked the longest distance travelled on the surface (35km), and registered the unofficial lunar land speed record (11.2mph, held by Cernan). Originally, the Apollo programme planned ten missions to the lunar surface. But in 1970 and 1971, the last three Apollos – 18, 19 and 20 – were cancelled, partly so the Saturn V rocket could be used to launch the first American space station, Skylab, a mission that indicated the change in direction of human space exploration. This meant that when stepping off the lunar surface and into the lunar module for the last time, Cernan was well aware that for the foreseeable future he would be the last human to stand on the surface of another celestial body. It also made the selection process for the crew of Apollo 17 more demanding – this, after all, was the final moonshot. 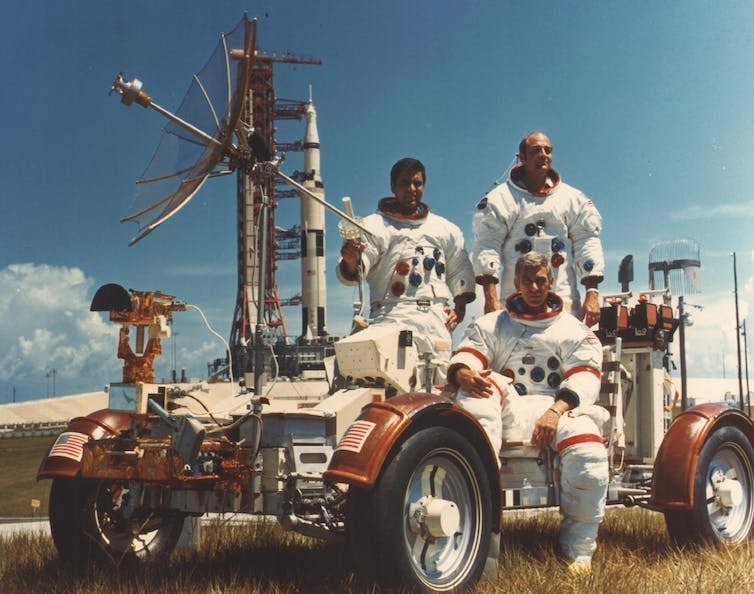 This led to demands in the crew selection and Schmitt, who was originally on the crew for Apollo 18, was swapped into Cernan’s crew, replacing Joe Engle, due to demands from the scientific community that a fully qualified geologist be sent to the moon. Upon leaving the lunar surface for the last time, Cernan set the lunar rover to record the assent of the module. He then wrote the initials (TDC) of his young daughter, Tracy, in the dust, a timeless message to any who followed him. Those steps up that ladder, they were tough to make. I didn’t want to go up. I wanted to stay a while. The legacy of Apollo 17 was not just in the samples brought back but the images that captivated all on Earth and helped us to recognise our place in the universe. “The Blue Marble” image of Earth was taken by one of the crew, a single frame that shows everyone on Earth with the exception of the three men on the other side of the camera. It also captures the delicate, beautiful nature of our world – and has become one of the most reproduced images in human history. Apollo 17 also had probably the best science return of any Apollo mission. In addition to the Apollo Lunar Surface Experiments Package (ALSEP), which was deployed during all landings from Apollo 12, Apollo 17 also carried the Traverse Gravimeter Experiment. Other experiments included a biological cosmic ray experiment which consisted of five “moon” mice (unofficially named Fe, Fi, Fo, Fum and Phooey) implanted with radiation monitors. The Apollo programme laid down the foundations for modern planetary science – and the data and samples brought back have aided our understanding of the origin and evolution of the terrestrial planets. Indeed, one of Apollo 17’s major discoveries was “orange soil”: fine, coloured glass spheres discovered in Shorty crater and theorised to be volcanic in origin. Since the end of the Apollo programme, manned space flight has changed focus, instead investigating the challenges and methods for humans to survive long periods in space and focusing on space stations such as Mir, SkyLab and the International Space Station (ISS). But the moon is now once again a desirable target for not only the well-established space agencies, but also for China, India and private companies such as SpaceX. Too many years have passed for me to still be the last man to have walked on the moon. Somewhere on Earth today is the young girl or boy, the possessor of indomitable will and courage, who will lift that dubious honor for me and take us back out there where we belong. May humanity return to the moon in the same spirit as Eugene Cernan left it. In these troubling times, there is still good reason to hope.